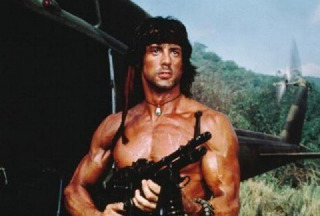 When I was just a youngin I saw Rambo at the theater. All I ever wanted to do after that was sew up my own arm. Of course now you'd have to actually put me to sleep to give me even one stitch. Remember when him sewing his arm was the coolest thing ever in a movie?